Full disclosure: I work in TV. I am a creative director at a premium cable channel, and I can tell you right now that I get paid to watch TV. I don't watch it all day, every day. But I do spend some portions of my week watching series from my own network, and occasionally, competitor networks and stations. I love my job. I love being able to read scripts and watch series, in many cases a year before they hit the airwaves. And I can assure you, there are many opportunities for you to earn money doing something you love — watching TV. Here are just a few. Let's start with my own personal area of expertise. From HBO, Showtime, and STARZ, to Netflix, Hulu, and Amazon, there are thousands of jobs available in the TV and movie industry. You may think that the only people getting paid to watch TV at these companies are high-end executives and producers, but that's not the case. In my own company, everyone from IT and legal, to HR and creative services, has access to a wide variety of movies and series. We are often required to watch our own series to be educated on what our own company does, much like employees at a brewery get free ale and hotel employees get free rooms. The more you know about what your company does, the better you are at your job. We also have companywide screenings of series and movies, and similar companies do the same for their employees, too. If this sounds like the field for you, take some time to search the career web pages of any company offering TV and movie services. You may be surprised at the opportunities available. It's a slow burn, but if you're willing to invest the time and a little money, it can really pay off. As you probably know, there are a lot of wealthy YouTubers out there. Some of them create original content, some are comedians, some play video games. And, some watch TV and movies and record their reactions, or provide reviews of the latest movies and series. In fact, there are even YouTubers who review YouTube review channels! That's some Inception-level stuff right there. The best way to start on this path is to review the movies you either really love … or really hate. Audiences love both kinds of reviews, with the latter usually being more funny and satirical. All you need to start is a computer or smartphone with a decent camera (if you use a phone, get a tripod). There really is an app for that. Well, multiple apps, actually. One of the most popular is Viggle, which rewards you for logging in and watching TV shows from providers like Netflix, Hulu, and Amazon. It's done on a points-per-minute basis, although sometimes you can double, triple, or even quadruple the amount of points you earn. You can also get bonuses for engaging with your friends on social media, and you can redeem your rewards for gift cards, cash, and even debit cards. 4. Become a Netflix "tagger"
Fair warning: There are only about 30 of these positions in existence, and they are in extremely high demand … for good reason. Taggers are a team of 30 media-savvy reviewers who get paid to watch Netflix day in, day out. The job of a tagger is to watch the content and tag it as it's being viewed with relevant metadata. In layman's terms, that includes factual information about the content, like year of release, language, cast, and so on, but also the tone, style, and how to categorize it for a search. As FastCompany reported this past March, it's a dream job for Sherrie Gulmahamad, who watches over 20 hours of TV and movies per week in her role as "originals creative analyst." But, as she pointed out, it's not always an easy ride. Much like a food critic, you don't always have an appetite for what is put in front of you. "I've also been assigned a 60-hour Colombian crime drama about Pablo Escobar's hit man," she told FastCompany. "No, I did not have to watch all of it — but I tried!" If you want to try and get into Netflix tagging, Gulmahamad recommends first getting into an archival or library studies program, and going from there. Neilsen is a household name in America, and is the driving force behind all those ratings figures you see for TV series and movies. You can become a part of this process. There are a couple of ways to go about it; one is by choice, the other by chance. First, you can go to Nielsen Digital Voice and join the panel. Thousands of people in the U.S. do this, and it's a way to provide information on what you're watching via the internet. The rewards aren't going to let you quit your day job, but you'll get the chance to win up to $1,000 every month, with 400 members getting a chunk of the monthly $10,000 sweepstakes. The other way is the traditional Nielsen route, and that is purely in the hands of fate. Nielsen families are randomly selected from a section of different communities across the nation, and although you have just as much chance as anyone else, there are only 40,000 homes being monitored. With over 126 million households in the U.S., that's a slim chance. These days there are all kinds of mystery shopping gigs available, and they are not just limited to retail stores and restaurants. 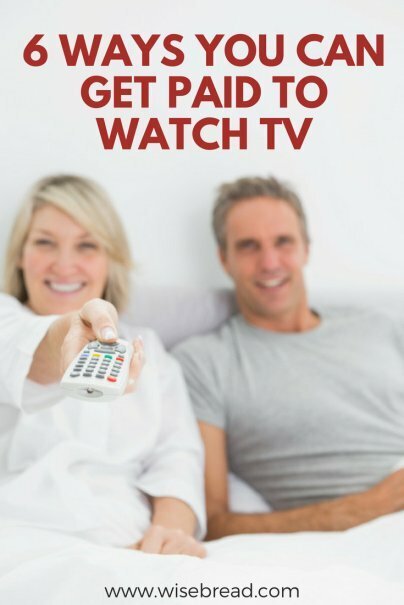 You can actually get paid to go to the movie theater and check out the latest movies, and who wouldn't want to be paid for an activity you usually have to pay for? One of the biggest names in theater mystery shopping is VeriTes, and they are looking for independent contractors in all 50 states. You can also check out CFA or Imyst.